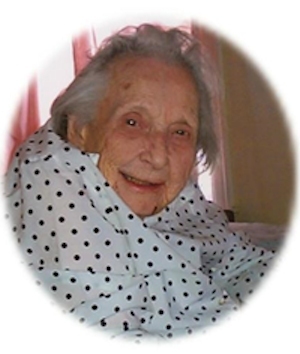 Obituary – Schlegel, Anna Lorena (Pursley) « Perry High School Alumni Association, Inc.
Anna Lorena Pursley Schlegel died at home February 10, 2012. Lorena was born on the 20th of September 1910 to Thomas King and Sarah Ellen McKee Pursley. Born in Paradise Township at Marena, Payne County, Oklahoma, at her maternal grandparents, Ralph Clarence and Sarah Augusta Follis McKee. 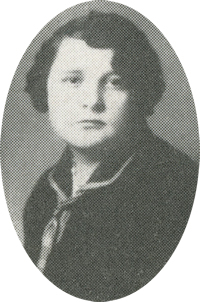 Lorena graduated Valedictorian of her class of 1929 in Perry. She was a member of the National Honor Society. She wrote the class poem. She had been granted a four year scholarship to Tulsa University, Tulsa, Oklahoma, but the depression dictated she attend Botts Business School at Guthrie, Oklahoma. She worked for Farmers and Merchants Bank from April 1930 to October 1932, the Chamber of Commerce, Famous Department Store from August 1933 to January 1934, The First National Bank of Perry from January 1934 to January 1944. She then worked for Donahue and Mugler from January 1944 to when she retired in November 1987. In 1988 she received her 50 year pin from the Order of Eastern Star. She was Worthy Matron in 1945. Lorena was a long time member of the Baptist Church in Perry. She voluntarily served many years as the Sunday school secretary. Lorena married Alex Schlegel in December 1950. Having no children of their own, nieces and nephews took that honor. The family had a 100th birthday party for her at the Elks Lodge in Perry, September 2010. She lived to enjoy her 101st birthday. She is survived by her two cats, Tinkerbell and Obie. Funeral services will be 10:00 a.m. Wednesday, February 15, 2012 at the First Baptist Church in Perry. Brother Aaron Summers will officiate. Interment will be in Grace Hill Cemetery. Services are under the direction of BrownDugger Funeral Home in Perry. Memorial contributions may be made to the charity of the donors choice in care of BrownDugger Funeral Home, 1010 N. 7th Street, Perry, Oklahoma 73077. The family will receive friends from 6:00 p.m. to 8:00 p.m. Tuesday, February 14, 2012 at BrownDugger Funeral Home. The family would like to express their appreciation to her caregivers, the late Ella Johnson, Rohmona Dolezal, Tonya Bradbury, Jennifer Thomas, Sue Williams, Vena Janway, Cori Reed and Judith Karman Hospice of Stillwater, Oklahoma. Other survivors include a niece, Juanima Dolezal McFarland and husband, James, of Claremore, Oklahoma nephews, Ed Dolezal of Perry and Tom Dolezal and wife, Lynda, of Billings. Cousins, Marjorie McQuain Newman of Stillwater and Phyllis McKee Shepard of Perry, Beryl Scurlock and wife, Anne, of Texas and many other greatnieces and greatnephews and relatives. Preceding her in death was her husband, Alex Schlegel parents, Thomas K. and Sarah E. Pursley and sister, Evalena Augusta Pursley Dolezal.